(RP/CHQ) (Indianapolis) 2009. Framable Color Prints and Posters. Digital Sharp Images. Aviation Gifts. Slide Shows. Midwest Connect-Chautauqua Airlines Embraer ERJ 135LR (EMB-135LR) N12530 (msn 145533) MKE (Jay Selman). Image: 402118. 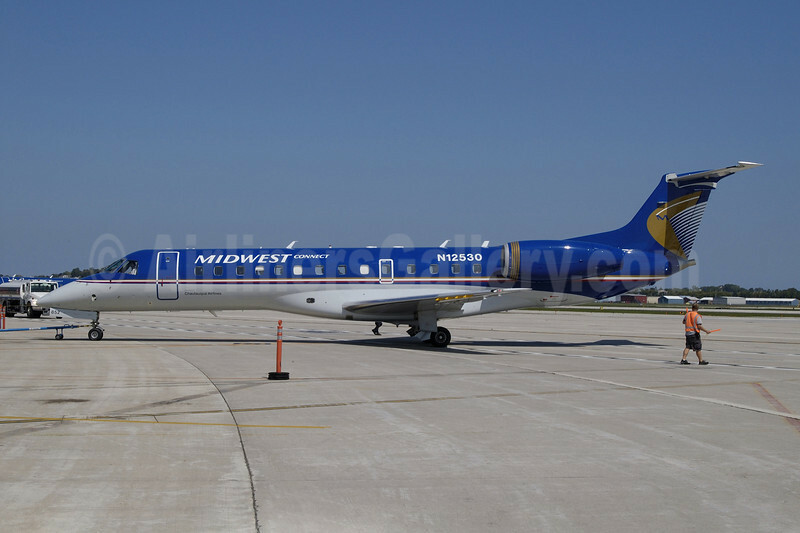 Chautauqua Airlines (Indianapolis) started flying for Midwest Airlines as Midwest Connect carrier on July 7, 2009 with three Embraer ERJ 135LR (EMB-135LRs). N12530 (msn 145533) pushes back from the Milwaukee hub in full Midwest Connect 2003 colors.